How many dinner parties have been ruined by improper cat presentation and storage? Where do we put ol’ Mac? Stuff him in the cat carrier? Put him in the office with a bowl full of catnip? No good, he gets out every time and starts hallucinating! Sally’s got your back! 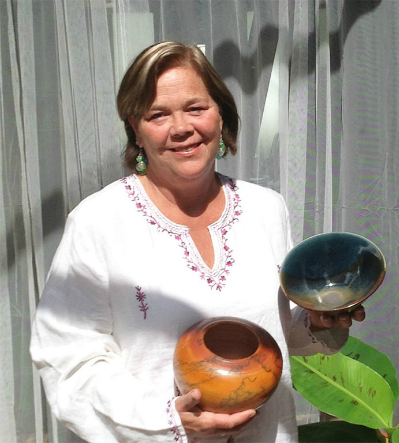 *** Update -Sally is holding public Raku firings Quarterly, or more often. These events are huge fun, and free to the public. Show up with your family and friends and pic out a piece of shaped and uncolored pottery. Decorate it yourself, and leave same day with a piece like this below. Note, the event is free, but to decorate and keep a piece, there is a nominal fee. Show up, bring friends. No appointment needed. Spend the afternoon picking out and custom designing your own pot that you painted and glazed and take home same day! Horse hair and dog hair Raku opportunities available. Just bring any hair you have of a beloved family animal and have it a forever piece in your collection! Take a look below at what you can do!